July 27, 2012 - Calling it a thinly disguised effort to reward top executives at Hawker Beechcraft for achieving “routine, short-term and not particularly challenging” tasks, the International Association of Machinists and Aerospace Workers (IAM) filed a formal objection to a proposal that would grant up to $5.3 million for the Beechcraft Eight, an octet of senior executives named as beneficiaries of a so-called Key Employee Incentive Plan (KEIP). “The attempt to implement such a lucrative bonus program for the very executives who led Hawker Beechcraft into bankruptcy is particularly outrageous after thousands of Hawker employees have already lost their jobs and thousands more could lose jobs and pension benefits,” said IAM Aerospace Coordinator Ron Eldridge. “These executives, who already have a fiduciary duty to maximize Hawker Beechcraft’s value, should not need any additional incentive to complete their most basic responsibilities.” In its filing, the IAM said the Court should not lose sight of the “complete irony and hypocrisy” of a motion seeking to provide millions in bonuses for executives at a company struggling to survive. The IAM also calls for the motion to be denied because the KEIP fails to specify any true “incentive thresholds” as required by U.S. Bankruptcy Code. Rather, the motion seeks to provide the executives with up to $5.3 million in “pay to stay” bonuses. The lack of true incentives going forward reveals the KEIP for what it really is a retention plan that fails to satisfy basic Bankruptcy Code requirements. Hawker Beechcraft is an aerospace manufacturing company that builds the Beechcraft and Hawker business jet lines of aircraft. The company headquarters is in Wichita, Kansas, United States, with maintenance and manufacturing locations worldwide. The history of Hawker Beechcraft originated in 1994 when Raytheon merged its Beech Aircraft Corporation and Raytheon Corporate Jets units. On 3 May 2012, the company entered bankruptcy, filing voluntary petitions under Chapter 11, Title 11, United States Code in U.S. Bankruptcy Court. 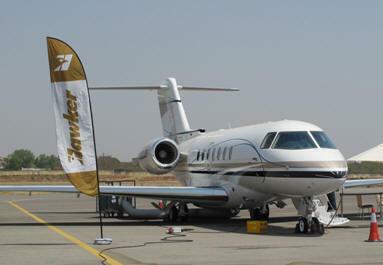 The bankruptcy resulted in the company accepting an offer to be purchased by Superior Aviation Beijing of The People's Republic of China on July 9, 2012. The IAM represents more than 3,500 workers at Hawker Beechcraft and is one of the largest industrial trade unions in North America, representing nearly 100,000 aerospace workers among 700,000 active and retired members in dozens of industries.